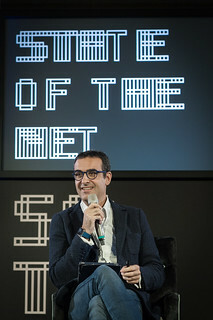 Since 2012, State of the Net’s founders Beniamino Pagliaro, Paolo Valdemarin and Sergio Maistrello have invited prominent collegues and friends to share the adventure of building State of the Net. The steering committee contributes to set the main themes of the conference and assesses the development of the project during the year. As director of knowledge management for the BBC, he was among the first to adopt tools for social networking in the enterprise. He has then worked with major organisations such as Nokia, the World Bank, and NATO. 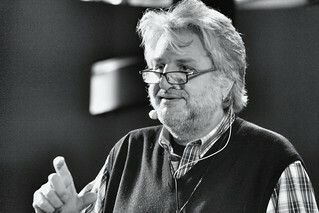 Today he is a consultant for major organizations around the world, helping them to make better use of new technologies. His book Organizations Don’t Tweet, People Do is a milestone for managers who deal with social media within their enterprises. 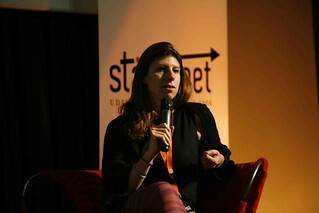 Adriana is the founder and organiser of the monthly Quantified Self meetups in London. She is also a Visiting Fellow of the Open University in the UK. In her previous life she advised and disrupted companies that wished to change and adapt. These days she studies and practices yoga, tantra and ayurveda, to live a balanced life and to help others do the same. 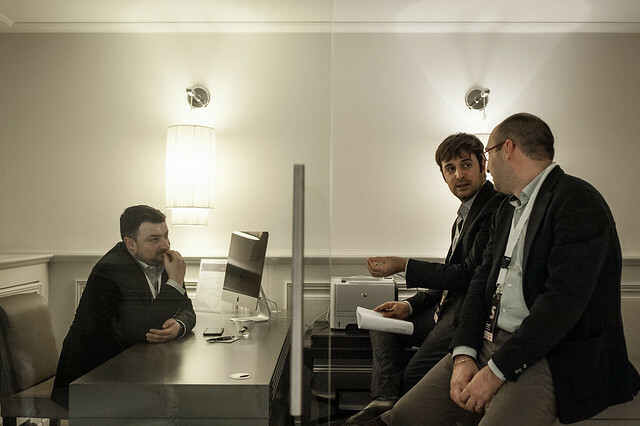 After working in major international advertising agencies, Marco founded and manages Hagakure, a leading italian digital communications agency, today merged in DOING. He is the author of successful books on internet public relations, social network identity and mobile marketing. In 2012 Marco started a non profit organization to promote japanese food culture. Antonella is Communications Manager at the Cild, the Italian Coalition for Civil Rights and Freedoms that supports and empowers civil society groups working in addressing some of the most pressing human rights issues. 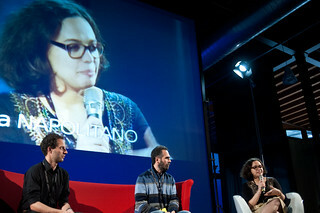 Before she had been Europe editor at TechPresident and Head of communications and contents for Diritto di Sapere. She is author of three books about LinkedIn for professionals or corporations and about political communication on Facebook. 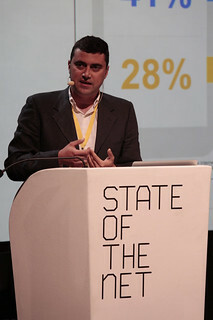 Daniele is head of digital communication and content factory development at AGI and digital innovation advisor at Ferpi. Previously he had run the digital pr at ENI and the relationship with online media at UniCredit Group. 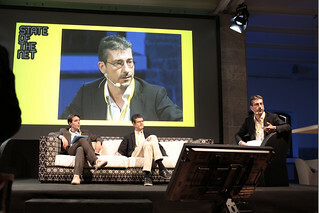 Journalist, he grew up professionally at Il Mattino, La Repubblica, Kataweb and Vivacity. 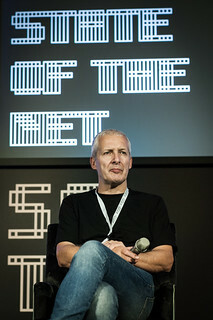 He is the editor of Neo editorial project at Franco Angeli and the author of several books about Online media relations, Social media relations and Online crisis management. Since 1997, Mafe has sought to bring companies, leaders and people who feel the need to the Internet, guiding them in correctly interpreting and experiencing a complex, but at the same time fun, medium. She works to free people from the fear of change and to show them how to live it in an evolutive way. She wrote several books, the first in 2001 on communities (Le tribù di Internet), then World Wide We in 2010, the last #Luminol in 2014. 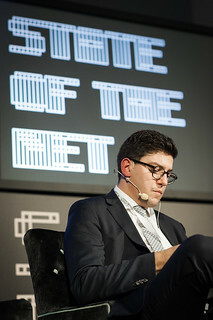 Massimo Russo is the Managing Director of the Digital Division of GEDI. 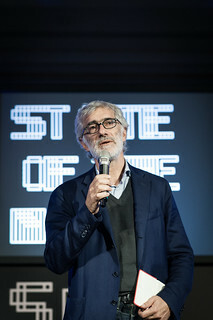 Previously he has been co-editor in chief of the Italian national daily La Stampa, and editor in chief of Wired Italia, digital content director at Gruppo Editoriale L’Espresso, editor in chief of the Visual Desk of L’Espresso and Repubblica.it, reporter and senior editor in L’Espresso daily newspapers. He co-authored “Eretici Digitali”, a book about journalism in the digital age, and Attacco ai pirati, on a hacking team case. Journalist, expert in communication and digital publishing. From the start-up of Yahoo! Italia in 1998, she contributed to the digital evolution in Italy. 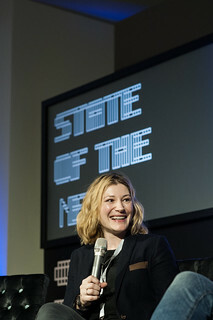 Adjoint professor at Sissa (Trieste), since 2009 she taught digital journalism in various Italian newsrooms such as Condé Nast and Corriere della Sera. She’s a digital consultant for major Italian companies with a focus on social media strategies and digital transformation. Her latest book is Social Media Journalism strategie e strumenti per creatori di contenuti e news (Apogeo, 2016). 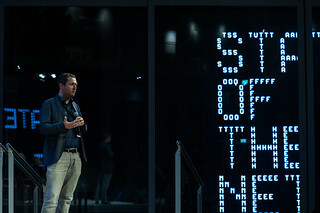 Consultant on networked agency, ethics by design and digital transformation. Change, complex challenges, and the way live in a fully digitised and networked world fascinate him ever since he first went online in 1989. As a founding partner of European open data consultancy The Green Land, he helps governments to open up as part of comprehensive and ethics based data governance. As part-time open government expert with the World Bank, he works in Eastern Europe and across Asia, and is an external expert to UNDP Serbia. 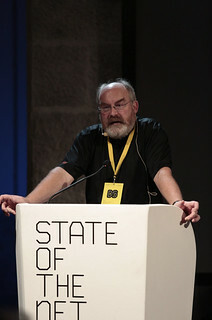 Ton was chairman of the FabLab Foundation in the BeNeLux. With his wife he hosts international conferences at home as birthday parties. He blogs since 2002. 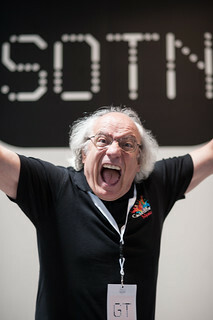 In loving memory of our friend Marco Zamperini, the funky professor, since the very beginning a member of this committee, a prestigious speaker at the conference and a huge supporter of our project. His passion, his competence, and his irony will be missed and will inspire our efforts forever.